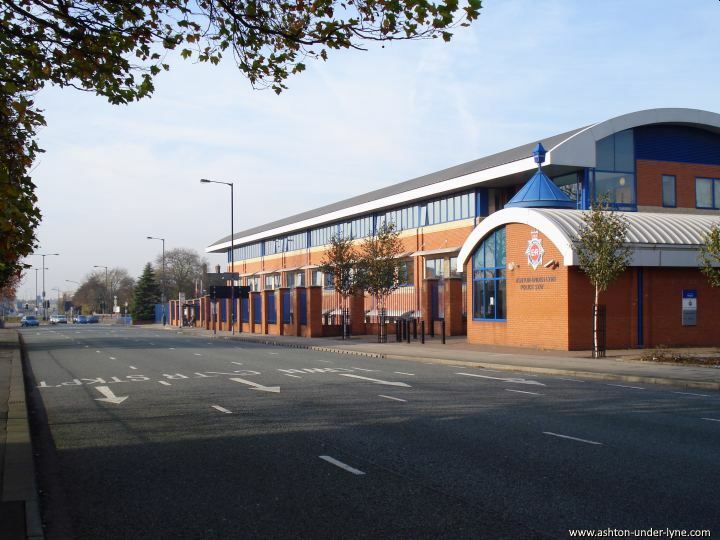 Manchester Road, Ashton, seen from near St Peters Church, with the new Police Station on the right. 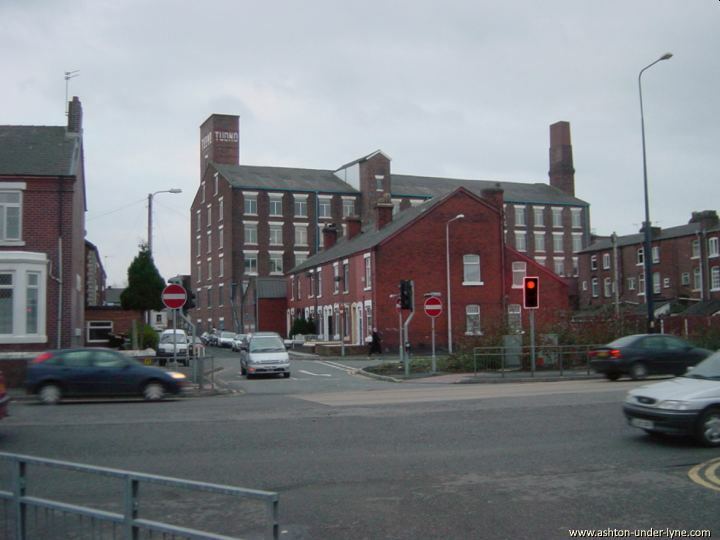 Smith Street, seen from Manchester Road, with Ryecroft "Tudno" Mill. 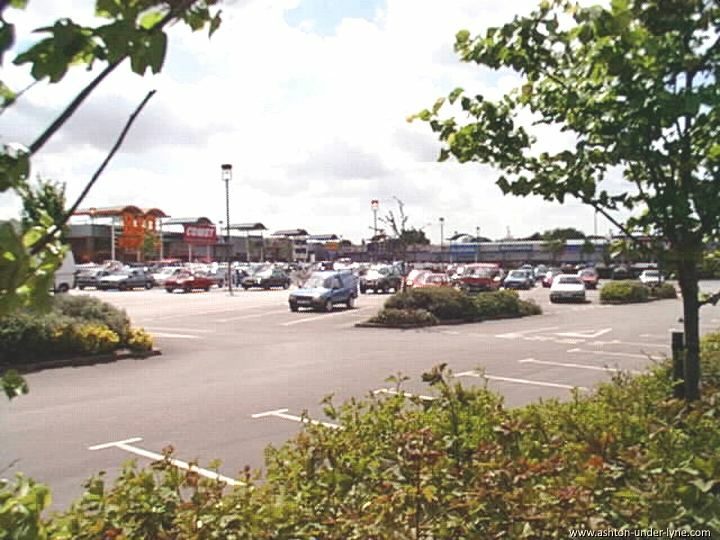 The Snipe Retail Park, off Manchester Road, on the Audenshaw border. 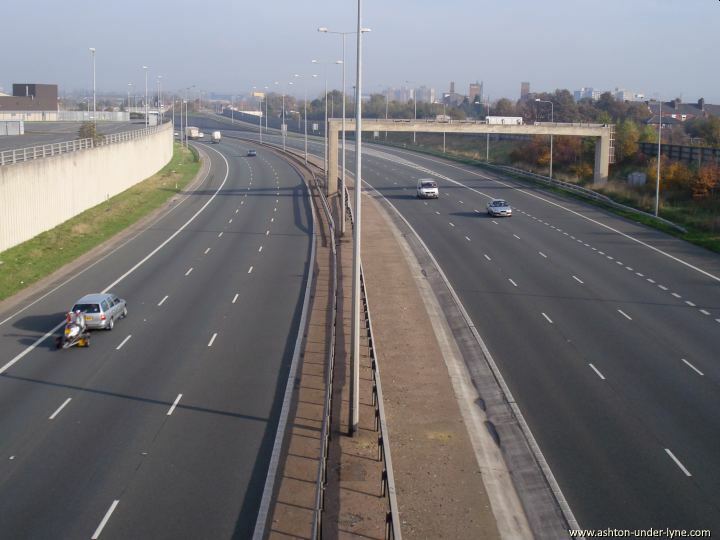 The M60 Motorway, looking towards Ashton. 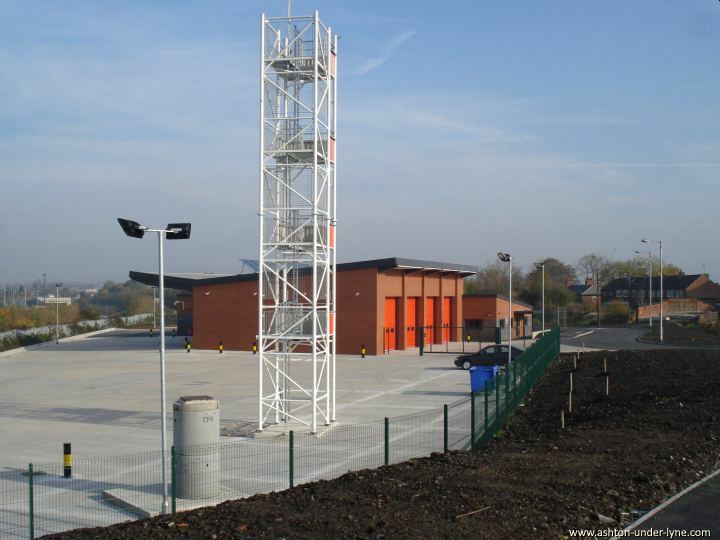 The new Fire Station at Slate Lane, Guide Bridge. 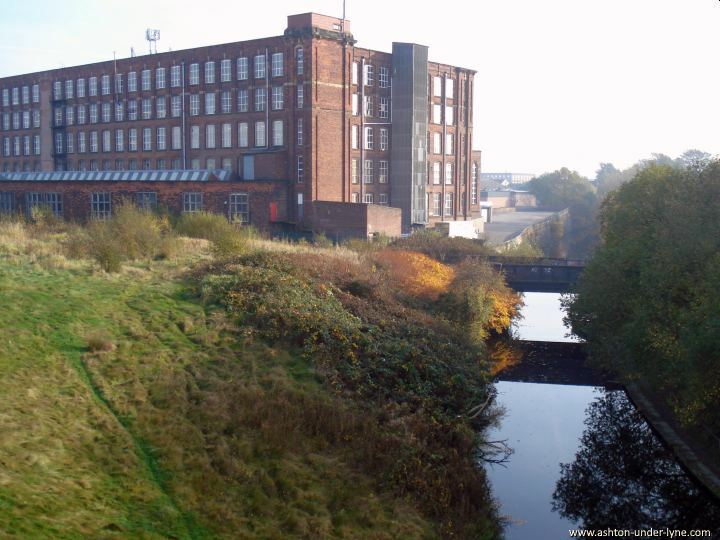 Guidebridge Mill, seen from the Ashton Canal. 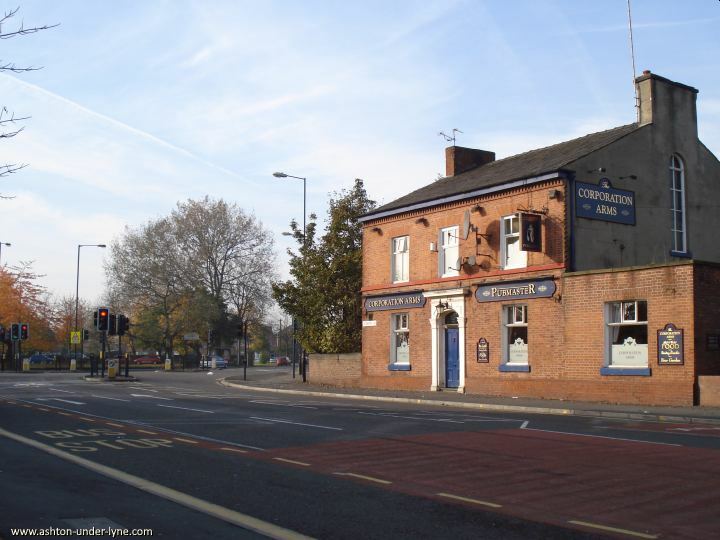 The Corporation Arms at Guide Bridge. Front entrance to St Pauls Church, Stockport Road, Guide Bridge. 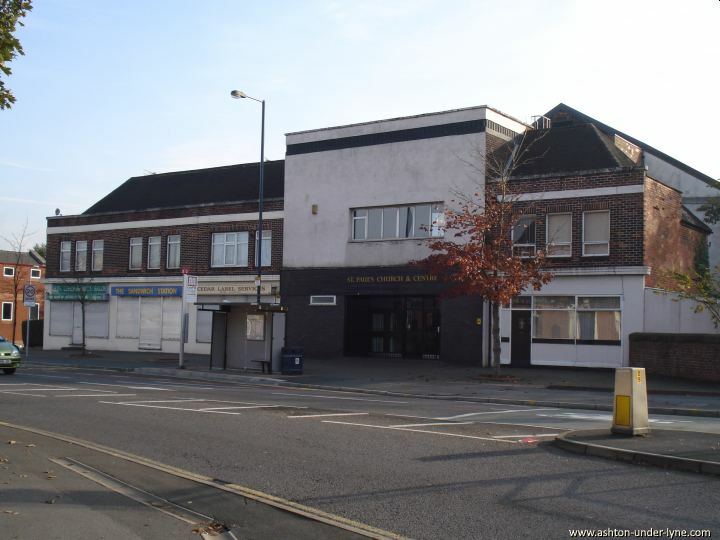 This was originally a cinema. 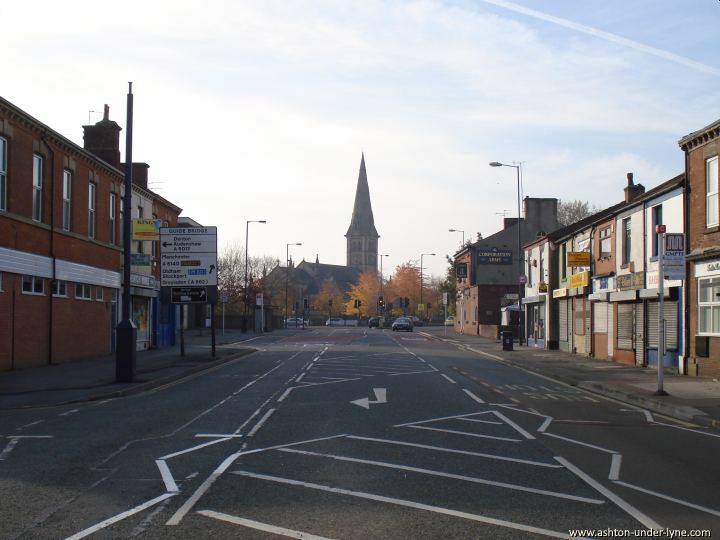 Stockport Road, Guide Bridge, looking towards St Stephens Church, Audenshaw. 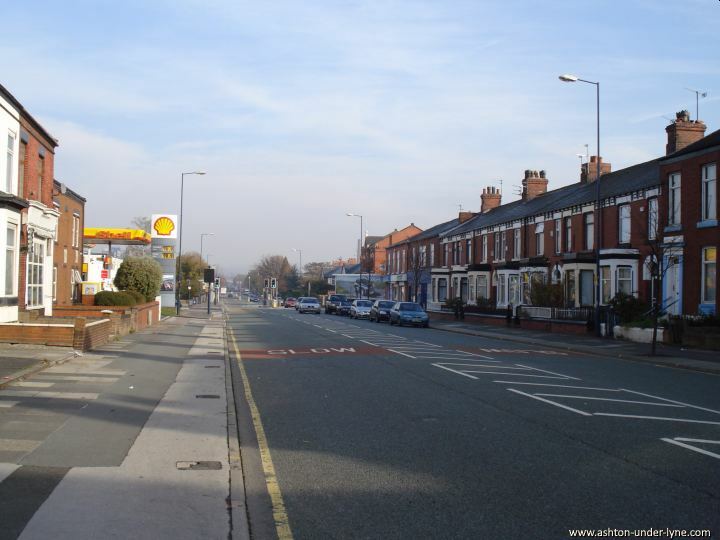 Stockport Road, Guide Bridge, looking towards Ashton. Visit the Photo Gallery index page to see other photographs of Ashton.